Reg Athwal is the Executive Chairman of The Athwal Organization & Family Office (TAO Legacy Inc.), and is the Founder, Chairman & MD of RTS Global Partners (RTS: http://www.rtsgp.com) with 4 Operating Solution Areas: Advisory, Education, Technology and Investments. RTS provides transformational family business solutions delivered predominately to Family Owned Businesses & Entrepreneurs and is the largest firm in the AMEA region, delivering solutions with a team of 14 Executives, Joint Venture Partners, Corporate Staff & Consultants spread across Africa, Middle East & Asia, with the HQ in Dubai-UAE. RTS has a big vision to open RTS Offices in 100 cities by 2022. Athwal is currently retained as a Global Trusted Executive Advisor by many entrepreneurs and family businesses, which he strategically supports via the Global Partners at ‘RTS’ with their respective clients. He has advised 120 family business groups to date from 1st to 6th generation. His philosophy is built upon One Family – One Legacy, by putting Family First to drive harmony and unity for any family who operates a business. 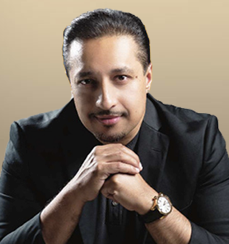 Prior to becoming a leading authority in human capital management and a trusted strategic executive advisor to Family Operating/Owned Businesses and many CEOs, Athwal has built numerous start-up and fast-growth businesses since the age of 17, and bounced back from bankruptcy at the age of 21 to build his first million-dollar company by age 26. Athwal comes from a family business blood-line, started in India in 1919 by his Grandfather. He is a World Certified Public Speaker (1 of 500 globally), the Past President of the ‘Professional Speakers Association’ of the United Kingdom, Fellow Member of the ‘Professional Speakers Association’ and the Founding Chairman & Past President of the ‘Professional Speakers Association’ of the Middle East. His personal success stories, case studies, extensive research and best practices have been shared to thousands of students at Harvard Business School, Oxford University, The University of Chicago, Hult International Business School, SP Jain Institute of Management, MIT College of Management, Indian School of Business, Cranfield University, Oshwal Community, Lagos Business School and hundreds of other schools. He is the creator of the ‘Unleash Your DNA’ international brand incorporating ‘The DNA Profiling & Dream Team Models’ and a series of Keynote Speeches, Masterclasses, Forums and Business Advisory Services. 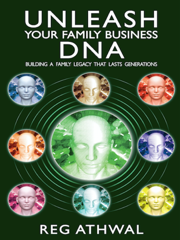 Over 3 million people and over 500,000 MDs/CEOs/GMs have been through his ‘Unleash Your DNA’ private sessions and listened to his talks in 64 countries since 2002. Athwal is an approved expert resource and speaker to the world’s most influential and private CEO organizations to include: Vistage International, The Academy for Chief Executives (ACE), The Entrepreneurs Organization (EO), The Young Presidents Organization (YPO), The World Presidents Organization (WPO), Family Business Network (FBN), Capital Club and The CEO Clubs. Athwal is a world-class expert advisor, keynote speaker, moderator and facilitator for prominent gatherings to include: Family Next-Generation Forums, Private Family Group Gatherings, Awards Ceremonies, Executive Conferences, International Congresses and Royal Family Addresses. In addition, he has held numerous strategic leadership roles for the DIFC, Dubai SME, DFM & Financial Times for their Family Forums and Family Business Programs. Since 2006, Athwal has personally chaired and facilitated 1,800 Board Meetings and Family Forums globally for his clients and recently in 2016, completed a record 13 city event tour in 16 days across South Asia, impacting over 1,000 family firms. He is also a bestselling author of numerous books and writes regular articles on ‘Family Business Governance’ for leading business publications. 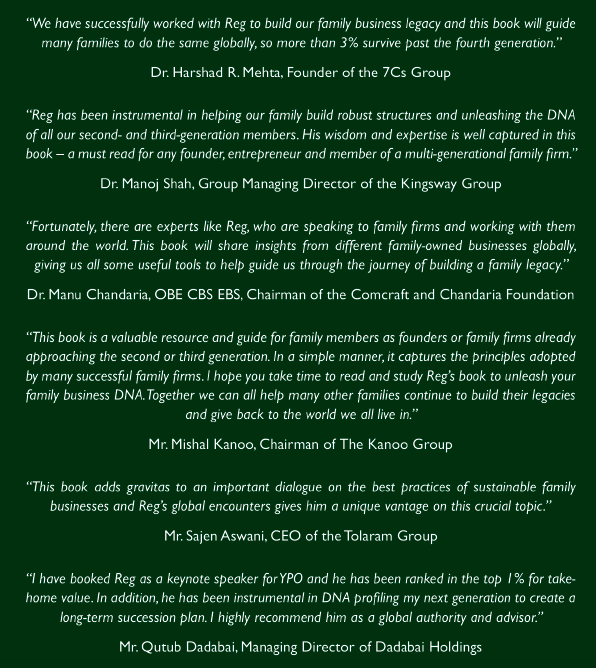 His latest book ‘Unleash Your Family Business DNA – Building A Family Legacy That Lasts Generations’ was published globally in Sep’ 2017 (http://www.familybusinessdna.com) after completing research for 15+ years on global family businesses and succession planning. Athwal is also a media presenter and business content creator of numerous TV shows broadcasted on airlines. In 2016 Athwal was honoured with the ‘Disruptive Entrepreneur of the Year Award’ at the ‘SME World Forum’ for building a new business model in the professional services sector and for the social impact made to family businesses.